"American Experience" Starts 2018 with "Into the Amazon"
When Theodore Roosevelt received an invitation to journey into the heart of the South American rainforest to chart an unexplored tributary of the Amazon River, he couldn’t say no. After a childhood plagued by asthma, Roosevelt had developed a passion for adventure and the outdoors. 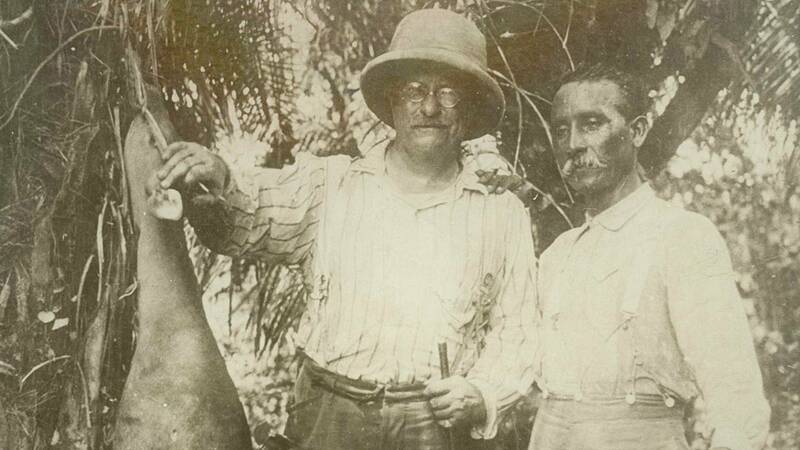 As a huge admirer of the world’s great explorers, Roosevelt jumped at the opportunity to journey to one of the last unexplored places on Earth. In 1914, with six American adventurers, including his son Kermit, Roosevelt spent eight harrowing weeks in one of the most remote and inhospitable places on earth, battling tenacious insects, deadly rapids, fever, hunger and exhaustion on a quest to map an unknown river in one of the wildest and most beautiful places on earth. What was anticipated to be a relatively tranquil journey turned out to be a brutal test of courage and character. Before it was over, one member of the expedition had drowned, another had committed murder, a third was abandoned to perish in the jungle and the remaining men were on the edge of starvation. Roosevelt would badly injure his leg and beg to be left behind to die. Now American Experience is telling the full story – a story Roosevelt didn’t even want to write home to Edith about – in its first documentary of 2018, Into the Amazon. More than a dramatic story of adventure and survival, Into the Amazon shines a light on two of the western hemisphere’s most formidable men and the culture and politics of their two formidable nations. Filmed on location in the Brazilian Amazon, the film features the voices of Alec Baldwin as Roosevelt, Wagner Moura (Narcos) as Rondon and Jake Lacy (Girls) as Kermit Roosevelt. Into the Amazon airs Tuesday, January 9, at 9pm on ThinkTV16 and CET and then Sunday, January 14, at 9pm on ThinkTV14.